Chester County, Pennsylvania, has been ranked one of the richest counties in the nation, yet 7 percent of its half-million residents live in poverty. Coatesville, a city of 13,000 people, is one such low-income pocket. It is also home to the county’s first Federally Qualified Health Center, opened in 2008 by Brandywine Health Foundation (BHF), with provider ChesPenn Health Services (which has been operating in the city since 2005) and other partners. “[Our partner] organizations needed a permanent home but we didn’t want to build a little one-story,” said BHF President and CEO Frances Sheehan. “We wanted to have an actual economic impact on the community.” Coatesville is an old steel town that has been left behind despite a spate of nearby redevelopment. 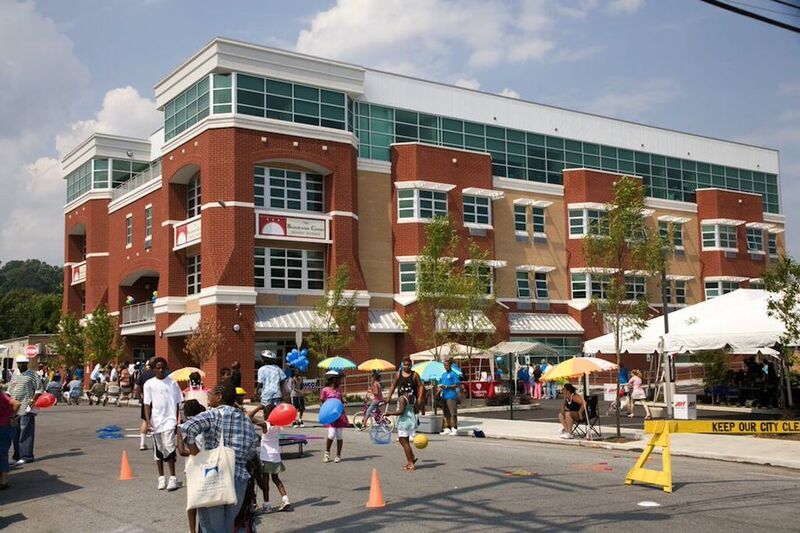 So BHF built the Brandywine Center, a community hub. The four-story building houses health and dental services on the first floor, behavioral care on the fourth, and 24 units of affordable senior housing on the two middle floors. The project created jobs for construction workers and, eventually, for upwards of 150 employees from the local nearby communities, who also patronize grateful neighboring businesses, Sheehan said. The $13 million project required a mix of public and private funds. The affordable housing is funded mostly through low-income housing tax credits, and the center is also partially funded by a $3 million loan from the US Department of Agriculture. In addition to public funding, the project received a $1.5 million loan from the Community Lenders CDC, a consortium of banks that lend to community development projects. “There were a lot of moving parts, which is a perfect example of the partnerships that need to come together to make these innovative projects work,” Sheehan said. Since it opened in 2008, the center’s offerings have expanded and now include an on-site prenatal practitioner. Coatesville is 25 minutes from the Chester County Hospital, which has a prenatal clinic for low-income women, but it is out of reach for many of women in Coatesville, where the birth weight of infants is disproportionately low. The services at the center are offered in partnership with the hospital and, in its first year, more than 100 women from Coatesville have signed up. But the Coatesville residents did not immediately welcome the development. Their hesitance did not stem from dislike for the project, Sheehan said, but from skepticism that it would come to fruition. “A lot of low-income communities have been promised things over and over again,” Sheehan said. At the center’s grand opening, a city council member remarked that he thought he would never see the day. Immersion in the community led BHF to embrace a more comprehensive approach to health based on social determinants. The center and its related programming, including a youth leadership group, is a result of critical collaboration between different sectors, Sheehan said. “No one industry can know everything,” she said. One reason BHF was able to bring housing into the mix was because Sheehan served on the board of Regional Housing Legal Services, a nonprofit law firm that coached her to seek out the tax credits. One particular hurdle in Coatesville was getting organizations that were more focused on big cities to partner with BHF, Sheehan said. The location ended up working in the foundation’s favor in some cases. The small suburban scale was a perfect testing ground for groups with regional aspirations. The foundation told them, “Come here, partner, with us, and we’ll give you some deliverables,” Sheehan said. Next on the agenda is the identification of 10 to 15 pieces of data BHF will gather with various partners. The data points will reveal the impact of BHP’s work so far, as well as areas ripe for improvement. The foundation is also taking on the parks and playgrounds of Coatesville. The project—vetted by community members at a brainstorming session that used the World Café model for group discussion—will cull the ideas of residents for a master plan. BHF is in conversation with the Natural Land Trust, which might lend its expertise to the parks. The foundation has thought about launching a formal community development corporation, and the parks project might give some initial insight into how it would work. The big challenge, Sheehan said, is figuring out how to promote redevelopment while minimizing gentrification. The area the center serves is about 40 percent black and one-third white, she said. 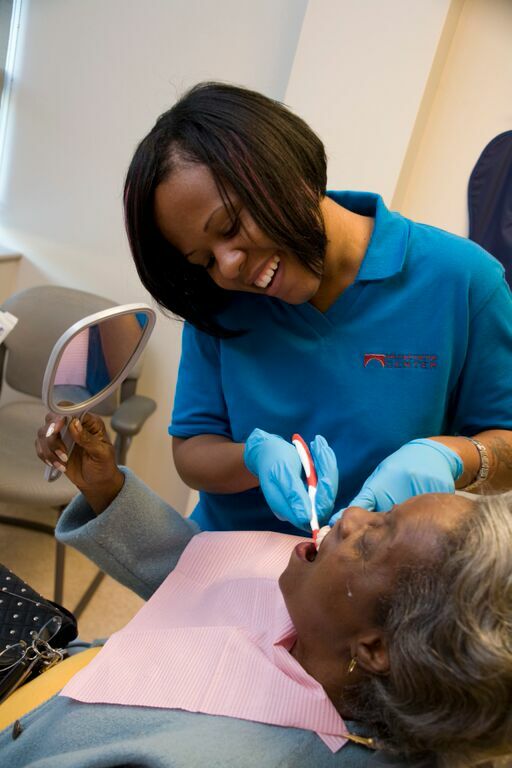 BHF is in it for the long haul, committed to working toward both improved neighborhood conditions and improved health in this low-income community, Sheehan said, but organizations like hers must maintain “a sense of urgency” to effect change. Photos courtesy of the Brandywine Health Foundation.